No one was injured, but a vehicle was struck twice Sunday when gunfire erupted between cars traveling on Lake Shore Drive near Belmont Harbor. Police said a man was driving northbound in the 3100 block of North Lake Shore Drive around 3:45 p.m. when a red Toyota occupied by several men pulled alongside him. Someone in the Toyota opened fire on the victim’s car, but he was not struck. The victim exited at Montrose Avenue and called police while the offender’s car continued northbound on the drive. No one is in custody. • Police pulled Roderick Trice over near Clarendon Park in Uptown on Nov. 23rd because he didn’t have a front plate on his Dodge Charger, according to their report. Officer said they smelled the strong scent of marijuana when they approached the car, so they ordered everyone out and then received permission to search the vehicle. Officers found a loaded handgun inside a panel on the front passenger’s side below the glove box, police said. Trice was taken into custody. Trice, 20, is charged with felony unlawful use of a weapon in a vehicle. Judge Michael Clancy released him on a recognizance bond. 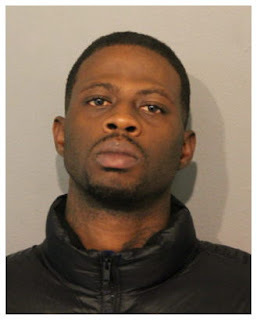 • Rashee Washington was pulled over in the 1100 block of South Clark street on Nov. 24th after he failed to stop for a red light, police said. Washington said he didn’t have a driver’s license and police were puzzled as to why he didn’t check the “man purse” next to him to see if his license was inside, officers said in a report. Washington eventually moved the purse to the back seat and cops asked him to step out of his car. Police said they found a loaded handgun with a defaced serial number in the man purse and cannabis on the vehicle’s rear seat. Washington, according to police, said “I f*cked up” and admitted during questioning that the gun was his, but he didn’t know how the serial number got scratched off. 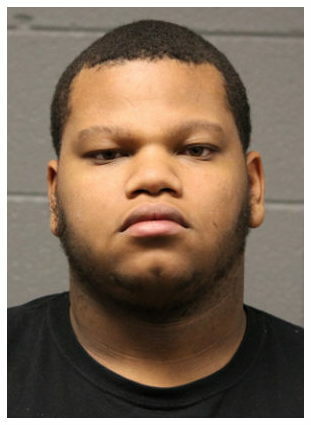 Prosecutors charged the 21-year-old with felony possession of a firearm with a defaced serial number, misdemeanor unlawful of a weapon, and misdemeanor possession of a firearm without a FOID card. Judge Michael Clancy released him on a recognizance bond. • Patrol officers in Old Town were in the 1300 block of North Hudson late on Nov. 16th when they allegedly saw Jewvon Davis walking down the sidewalk. The cops would later say they recognized Davis as being wanted for failure to appear in court for a firearms case and tried to stop him. Davis ran from the police and hid behind a trash can in the 400 block of West North Avenue, officers said. Police allegedly found him there with an unloaded handgun nearby. Police said in a report that Davis told them that he works in the area and he brought the gun up with him from the South Side earlier in the day. He hid the gun on top of a parked car’s wheel and went to work, Davis reportedly said. 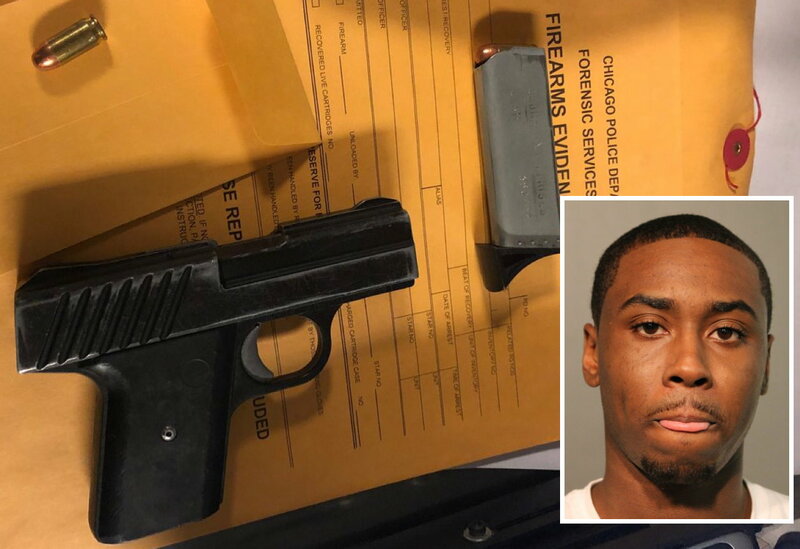 Davis went on to say that he ran into a guy after work who told him to “stay out of my business or I’ll shoot you.” That’s when Davis went to reclaim his gun from on top of the tire, according to police. He had been walking around the neighborhood with it for about 20 minutes before police tried to stop him, he allegedly said. Prosecutors charged Davis, 26, with aggravated unlawful use of a weapon. Judge Michael Clancy set his bail at $30,000 which allows Davis to go free by posting a 10% deposit. According to court records, Davis is also facing an unlawful use of a weapon charge for allegedly carrying a gun on the West Side in March. He was AWOL on a recognizance bond in that case when police arrested him Nov. 16th.